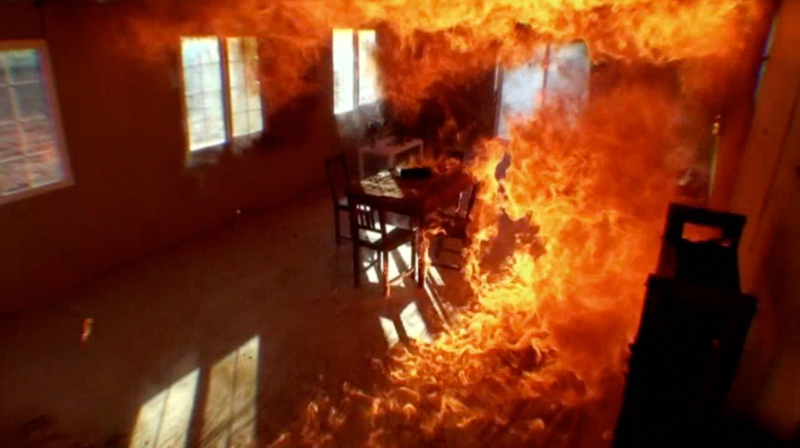 While the Texas Forensic Science Commission fiddled, after having first been neutered by Governor Rick Perry, Mythbusters unintentionally demonstrated how fire spreads rapidly through a room, even in the absence of accelerants. Imagine that! It's as if Dr. Gerald Hurst (our nation's foremost fire investigator) knew of what he spoke when he advised Perry to stay the execution of Cameron Todd Willingham. One of my favorite shows was their testing of claims that water heaters can explode so violently that they launch themselves through the roof. As it turns out, that can happen, and in spectacular fashion. To demonstrate, they constructed a small house, subverted the safety devices on the heater, and encouraged it to overheat. The results were astounding. Play the short link below to get just a nibble of what the Mythbusters are all about. For those of you unwilling to part with 32 seconds to watch the video, I provide the money shot below. Another favorite was when they tested a claim that two tractor trailers completely flattened a compact car unfortunately caught between them when the two trucks had a head-on collision. According to the claim, the compact car was not just flattened, it was fused to the trucks. This claim was busted, proven to be not possible. The car was certainly damaged during the recreation, but there was no fusing of metal. However, and there is frequently a "however" on Mythbusters, Adam and Jamie decided to see if it would be possible to fuse a compact car between two trucks travelling at 700 miles per hour rather than a mere 50 miles per hour. To do that ... well, you should watch and behold. For those of you unwilling to part with 4 minutes and 9 seconds to watch the video, I provide below a less impressive composite image of the car being flattened. Though the car was clearly flattened, the 1 inch thick metal plate moving at 700 mph did not fuse with the metal on the car. They declared the myth busted. Now, as much as I like many of the Mythbusters' segments, the show is starting to deteriorate. It's becoming too formulaic, the spontaneous banter is now scripted and poorly delivered, and the lure of product placement has caused them to show some real stinkers. The show dedicated to The Green Lantern movie was painful to behold, as I suspect was the movie itself. Last week, Adam and Jamie investigated a scene from The Bourne Supremacy. It was during their recreation of a scene from that movie where they unintentionally and unknowingly showed how the Willingham fire spread rapidly and left behind evidence misinterpreted as use of accelerants. In the movie, Jason Bourne gets out of yet another tight spot (imagine that) by creating a MacGyver-like explosion in a room. He turned on the gas, put a magazine (the kind you read) into the toaster, and left. 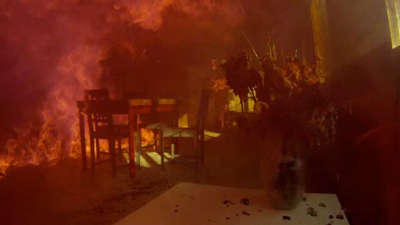 The magazine caught fire within 25 seconds and ignited the gas just as Bourne's pursuers were about to enter the room. The pursuers were thrown head over heels backwards by a giant fireball, and Jason Bourne escaped. They next tested a series of magazines and newspapers to determine if any such printed material would ignite within 25 seconds. None of them did. The newspaper ignited most quickly, in 1 minute and 40 seconds. They then constructed a small plexiglass enclosure to determine the range of fuel-air mixtures in which natural gas (mostly methane) will ignite. They knew the answer beforehand (around 9% gas for optimum explosion) but they wanted to demonstrate. The point is that if there is only a little gas in the room, the room will not explode. Similarly, if there is only a little oxygen in the room (because there is too much gas), the room will not explode. Having completed their preparatory work, they built a full size room, and pumped methane into it as a magazine belatedly caught fire in a toaster. Nothing happened. During the second test, they decided to pump more gas into the room, mix it better, and subject it to a more reliable ignition source. The removed the toaster from the table, covered the table with bricks, and placed an artificial fireplace log on the bricks. The bricks were there, obviously, to keep the table from being ignited by the fireplace log. Adam and Jamie obviously did not know what awaited them. Hang on. After all this writing (or in your case, reading), here we go. 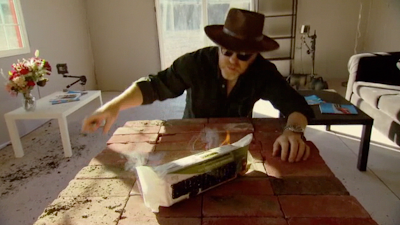 Adam Savage lights the artificial fireplace log on the brick covered table, then makes a quick exit. The fireplace logs performs pretty much as expected. 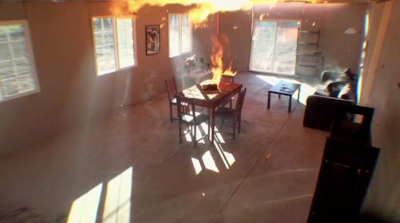 Since there is no chimney for the heat to escape, the heat accumulates above the table. 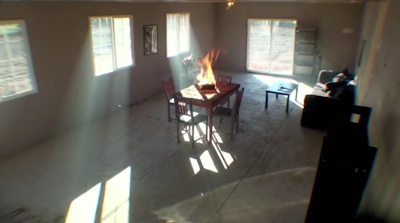 Within four minutes of lighting the log, the ceiling catches fire. Some burning material drops from the ceiling and sets one of the chairs on fire. The fire begins to spread across the ceiling. The couch begins to smoke. It's near ignition, not because anything is falling on it, but because of all the radiant heat from the ceiling. When it ignites, it will not ignite in any particular region. It will ignite all at once. The magazines ignite just before the couch. Nothing fell on them to make them ignite. The heat radiating from the ceiling is sufficiently intense to ignite the magazines from afar. A human would catch fire just as easily. 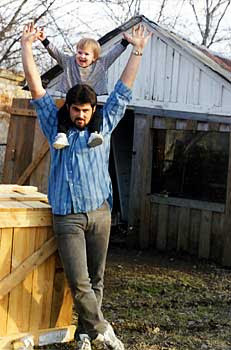 Those who say Willingham must be guilty because he did not go back and save his children have no idea what they are talking about. A human could not bear the heat. Even if he magically could, he would simply combust and ignite. The couch and the bookshelf ignite simultaneously. You are looking at the onset of flashover. The fire radiates so much heat that most everything in the room ignites at once. It happens so fast, it seems as if the room explodes. Just moments later the floor ignites. 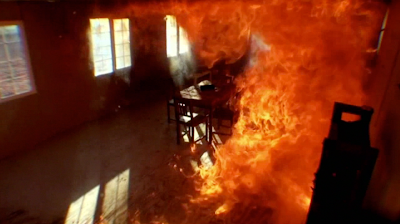 Look at the pattern being burned into the floor. Texas would confuse those patterns with evidence of accelerant being poured on the floor. Because of their confusion, yet another innocent man was given the needle. The fire races across the ceiling and floor, leaving more faux evidence of accelerants. 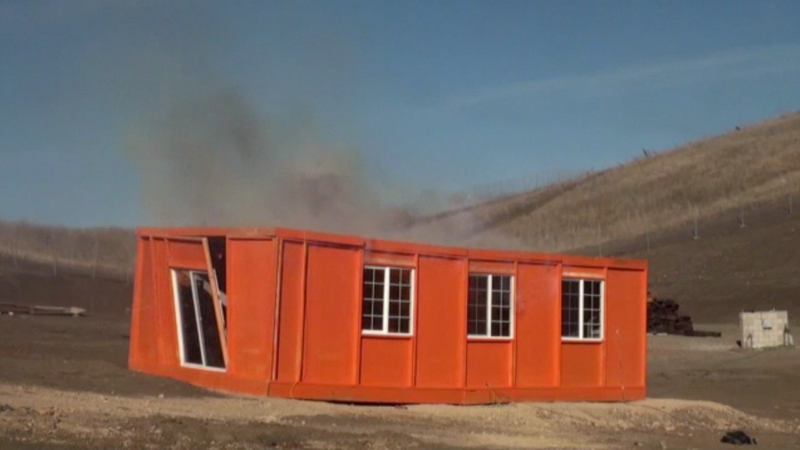 The rapid increase in heat and gas generation causes the walls to fail and the fire to vent. 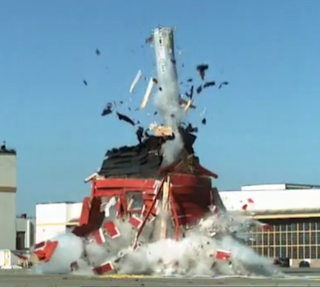 The Mythbusters' demonstration room was built nowhere near code, and quickly failed at a corner. More typically, the framing withstands the forces better than the windows. More typically, the windows blow out. Also, the ceiling is beginning to burn through. 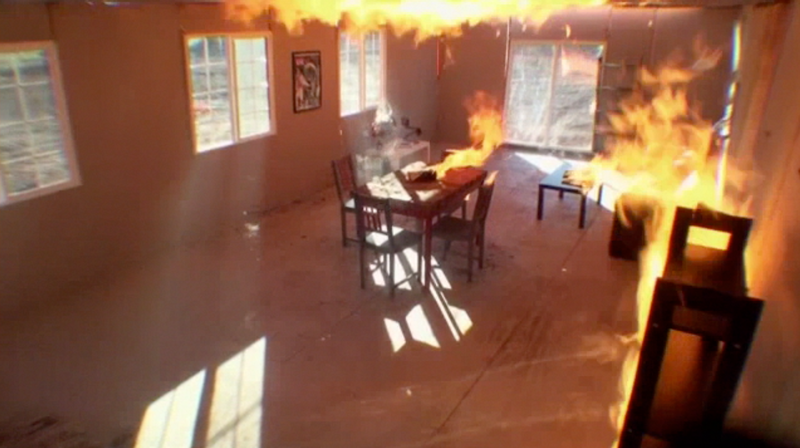 The Mythbusters used plywood, not wallboard, for the walls and ceiling. Though the paper on the wallboard is flammable, the gypsum inside the wallboard provides a good fire barrier. 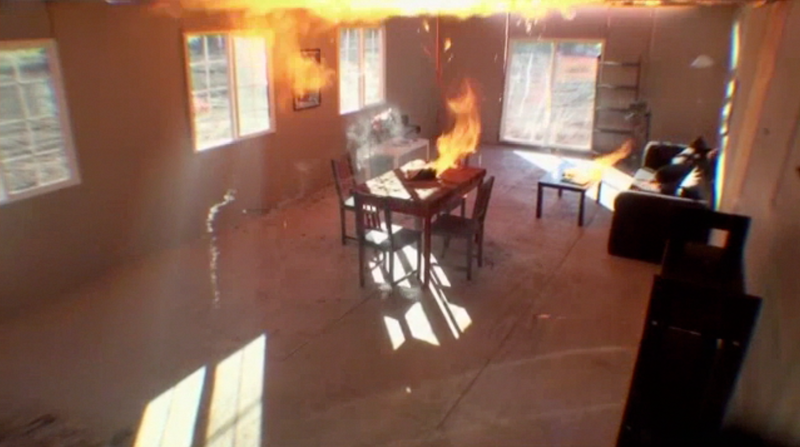 In an actual house, the ceiling would not have burned through so quickly. Back inside, the room is growing darker. Left unchecked, it will soon become impossible to see in the room. Had there been a larger fuel load in the room, the smoke generation would have been more rapid. In the Willingham fire, which took place in the children's room, the fire thrived on a bed, two cribs, a dresser, curtains, a rug, a Little Tykes Oven, and a child's large plastic slide. The fire consumes the floor. In the Willingham trial, the experts said that couldn't happen unless an accelerant was first poured on the floor. 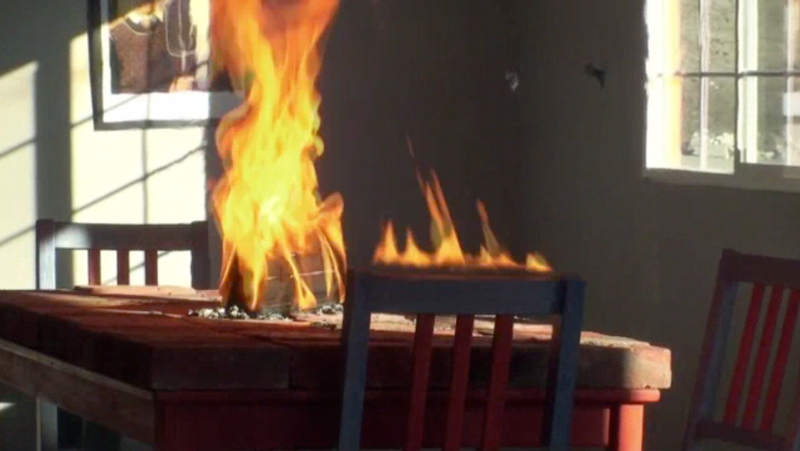 Their logic, the logic that the Texas Forensic Science Commission refuses to fault, was that "fire burns upwards." 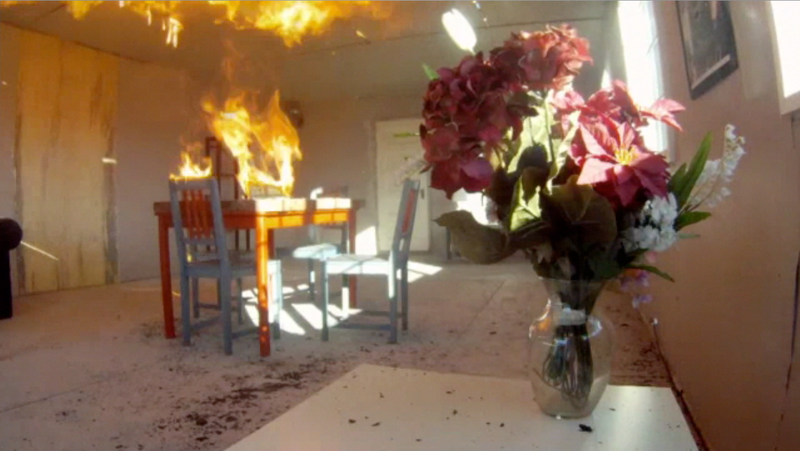 The images show how a fire can spread so quickly. They help you to understand how people in one room can be killed while people in another might escape, and why rescue efforts by untrained, unequipped loved ones are bound to fail. They do not help explain how the Willingham fire started. It clearly did not start by someone placing an artificial fireplace log on a brick covered table. If you are interested in learning more about the actual cause of the Willingham, there is only one book available. It is my work Inferno, available at Smashwords for a mere $0.99. I present below the introduction to that august work. Amber was once again drawn to the heater, to its bright flickering flame, to its warmth, to its forbidden mysteries and charms. Both Mommy and Daddy had caught her before, putting things too close to it. Daddy had even given her whuppings, but he was asleep in the other room, and Mommy was not even home. Perhaps she wanted to move some of the fire from the heater to her Little Tykes oven sitting nearby. Perhaps she simply wanted to put something inside the heater and watch it disappear. Maybe a piece of drawing paper. Maybe one of her socks, the one she wasn't wearing when she was pulled barely alive from the house. Maybe it was the sock that was never found. Whatever it was, when it burned it was scarier than the fire in the heater. It burned closer and closer to her finger and her thumb as she held it at arm's length. But it was so hot. It was the hottest, scariest thing she felt, ever, so she flung it away, and then the curtain was on fire. The curtain between the heater and her little oven was on fire. She was going to get in trouble again. She was going to get another whupping. Fear of anger and whuppings, though, were quickly overcome by horror. The fire was growing larger and larger and scarier and scarier. She retreated as the fire climbed the wall to the ceiling. The smoke got inside her and made her cough. She could feel the heat on her skin, on her face and neck and shoulders. She had to get away, but the gate was there, blocking the doorway, keeping her from the safety of her Daddy's arms. Her sisters too were scared. They were crawling away as fast as they could, crawling towards the far corner of the room. One of them made it underneath the crib. Now the top of the room was on fire, and it was getting dark even though it was just morning outside. She couldn't breath and face burned, and her neck and her bare shoulders, and she wasn't even close to the fire. She didn't want to keep it a secret any more. She wanted her Daddy to save her. She screamed and screamed but he didn't come. So she did what her sisters could not do. She climbed the child gate and ran to her Daddy's room, screaming for him. She couldn't see him because the smoke was there too, in his room. It was everywhere. She could hear him though. He was yelling at her to run, to go outside. But the fire was there where he wanted her to run, and she wanted him to save her. She climbed into his bed, but he wasn't there. Instead of him saving her, she would save him. She would save him with her screams and her pleas, by awakening him, by telling him of the fire, by taking his place in the bed, by breathing in the smoke that would have filled his lungs instead of hers. It wasn't heroism that caused Amber to take her Daddy's place. A two-year-old cannot be heroic. She can only be afraid of fire and smoke and dark. She can only be expected to seek the safety of Mommy or Daddy. Amber did everything a two-year-old could and should do. She screamed, she climbed the gate, and she ran for help. In doing so, she bought a reprieve for her father. The fire, however, would not be denied. 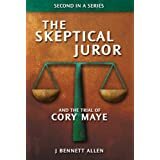 Disguised first as justice and then as a needle, it would eventually consume her father just as surely as it had consumed her sisters, just as surely as it consumed her. 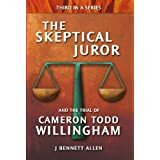 If, instead, you would like to understand how a jury can send an innocent man to death row, consider The Skeptical Juror and The Trial of Cameron Todd Willingham, on Kindle for only $2.99 or in the old-fashioned print format for $19.17. Mythbusters is a good show but even your explanation has problems and why the jury didn't believe that. Your argument is that an object was caught in the space heater which ignited and then spread the house causing the accelerant marks. I'm okay with the marks being wrong, but then you would have to explain why the fire pattern didn't emerge from the space heater and the object that was burned didn't leave evidence in the space heater. And last, the story of the heroics of the two year old is pretty heroic, setting the fire, jumping over the child gate, running to his dad and him touching the kid and then the two year old running away from the kid and then going to another bed and falling asleep in the bed? Cameron couldn't find any of his kids? It wasn't the fire evidence that got him, it was his actions after the fire that sealed his fate. You obviously know nothing about the dynamics of fire just like the fire investigator at the Willingham house. He was asleep and was woken up by the fire and ran out of the house. he couldn't go back in because of the heat. The "accelerant marks" are burn patterns from ventilation. Oxygen feeds a fire. And something as small as a sock would burn up and there would be no evidence of it. Not everything stays behind in a fire. It was a combination of the "evidence" and assumptions that the fire investigator and the police made. The fire happened in 1991 and in Texas. They didn't know that much about the dynamics of fire in 1991 and in Texas. The only accelerant they found was lighter fluid from the charcoal grill that was on the front porch for their barbecues. They called him a sociopath because of a tattoo and an Iron Maiden and Led Zepplin poster. 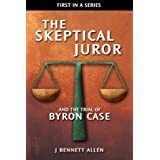 He was innocent as proven by his exoneration of the arson.